In today’s mobile marketplace, work has outgrown the traditional office setting. Technology now allows employees to collaborate whenever and wherever they like. In order for your company to stay competitive, adopting tech that fosters that communication, innovation, and efficiency afforded by collaboration is table stakes. 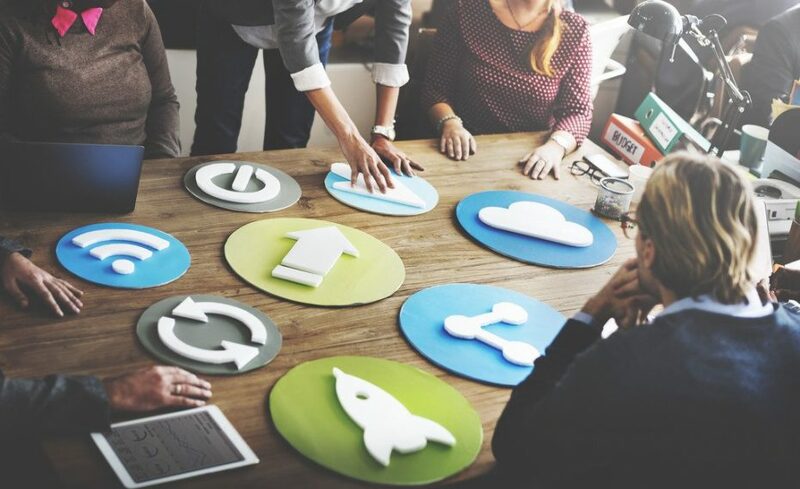 Which collaboration technologies are most useful, though, and what are the best practices to implementing that collaboration tech once you’ve found the right one for your business? These topics and more will be covered by industry experts during this must-attend virtual event: The Collaboration Summit on April 13, 2017 at 10am PST/12pm CST/1pm EST. Daniel Newman and Olivier Blanchard of Futurum Research, Jens Meggers of Cisco, and technology evangelist Brian Fanzo will dive deep into these topics and many more. During three educational sessions, you’ll will soak in invaluable knowledge about the use and application of collaboration technology while also gaining access to an expo hall and a resource center with helpful eBooks. Staying connected to your work through multiple devices has become a necessity in today’s mobile marketplace. And with the mobility of business still rising, the longevity of your company relies on adapting new collaboration technologies and techniques. Luckily, The Collaboration Summit on April 13, 2017 at 10am PST will keep you up to date on everything you need to know about the dos and don’ts of collaboration technology. Register today!